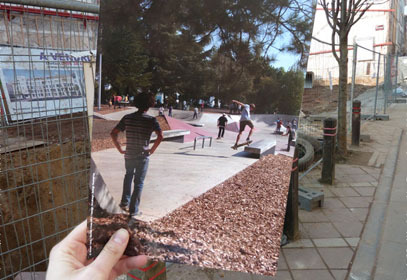 WHY NOT A SKATE PARK? Instead of a new building, why not a new skate park, here ? Pictured by Claire, Brussels – St Boniface, 17th March 2012.